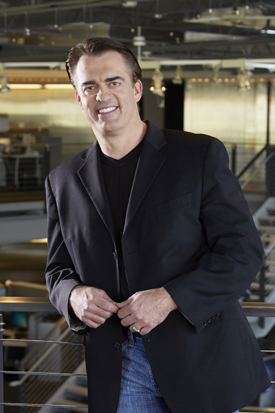 Rick Smith, co-founder and longtime CEO of TASER International (now called Axon). In the law enforcement world there is often a big leap from wanting or needing equipment to having the money to buy it. Here’s a deal that makes the problem go away—CLICK HERE and read below for more info. Rick Smith, the co-founder and longtime CEO of TASER International—now called Axon—nails it when he says the historical moment police find themselves in today is one of the most difficult and challenging times in our history. “When you take a close look at the risks facing our officers who do one of the most important, complicated and dangerous jobs in our society, and then compound that with all the trouble that’s been going on since August of 2014 following the death of Michael Brown in Ferguson, Missouri, it’s been a rough ride,” Smith says. Officers agree that body-worn cameras are giving them essential protection on the job. But all that is changing. 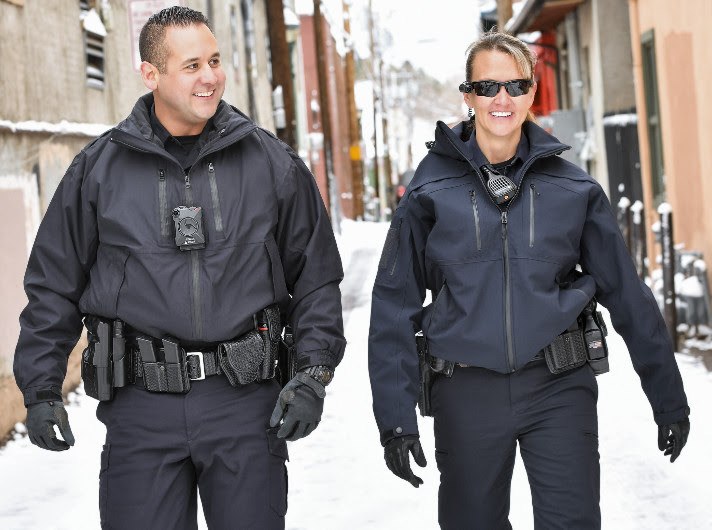 Body-worn cameras have propelled the profession into the 21st century. Even five years ago, people were not so sure about body cams. Today you can talk to any chief and they all want their officers to have and wear the cameras. If an officer must use force and it’s all captured on video, liability risks for the officer and the agency are drastically reduced. When the rising number of lawsuits and unfounded claims about cops using excessive force made it clear that wearing some sort of recording device was going to be the solution for this burgeoning problem, TASER International – again, now Axon – rose to the challenge. 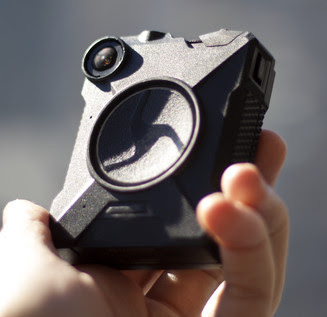 The result was the Axon camera, which captures the incident on video which is them uploaded to Evidence.com – a cloud-based program that stores the video. 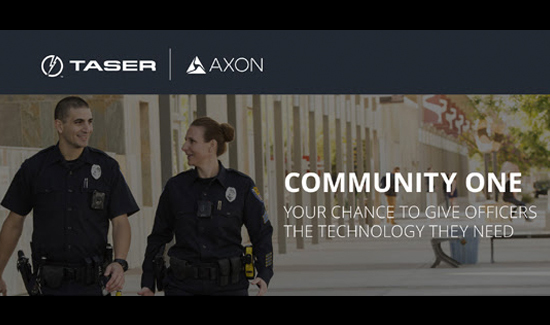 Axon is donating its Body 2 cams to any agency who wants them. In Baltimore, a recent controversial officer-involved shooting – a white officer shot and killed a black suspect – is a case in point. If the body cam had not captured crucial frame by frame video footage of the incident, the city, still on edge after the Freddie Gray incident in 2016, could have exploded. But the footage was clear – the suspect was pointing a gun at the officer and there was no doubt he feared for his life. But in the law enforcement world, there is often a big leap from wanting and needing the equipment to having the funds in the budget to purchase it. If someone asked you when the last time was that you burned a photo onto a CD, you probably couldn’t remember. We now share photos captured with our cell phones via email or on Facebook, Twitter, Instagram, and Snapchat. It’s technology that law enforcement, prosecutors, and others in the criminal justice system should be using to securely store and transmit reports, images and video. But chances are when your agency has to transmit files to a prosecutor for a warrant or trial, someone delivers a box filled with paper reports, DVDs, and photographs. There is no central database to search for the evidence which has been stored in a digital format and can be searched for and retrieved easily and efficiently by the appropriate people. In some places where the evidence has to be transported across the state, the process looks more like the Pony Express than a smart use of 21st-century technology. One officer will have all the paperwork in a box and drive halfway across the state, where he or she transfers the material to another officer, who then drives it the rest of the way to its destination. With this antiquated way of collecting and sharing evidence, it’s no wonder that close to two-thirds of an officer’s time is spent on paperwork. Another time-zapper is the process of searching for and sharing evidence and information that is not properly filed and saved in a computerized system. At the Metropolitan Police Department in London, a recent visitor watched streams of cops coming in with boxes of images and file-folders full of notes. But those days are ending soon. The entire agency is moving their evidence to the Evidence.com system. Soon, officers will be uploading police reports, videos, and photos into the system, which will make the sharing process much easier. That needs to change and it is. 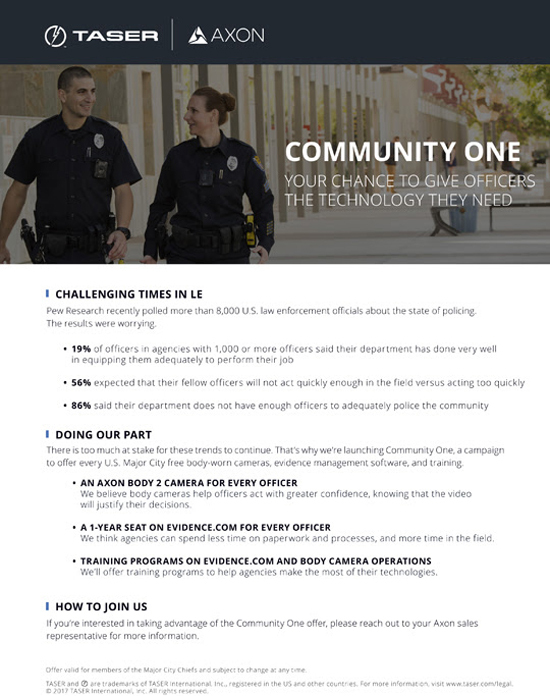 “Just one example is the new Axon technology our company developed that is giving the officer the ability to verbally record his impressions of the incident via the body cam. The voice recognition technology will transcribe the officer’s commentary into the written word and store it with the video. * Eliminate bureaucracy and paperwork, which can take up to two-thirds of an officer’s on-duty time. * Free officers up to do more police work. * Increase guilty pleas with camera footage. * Reduce stress on victims when the suspect knows the camera got the evidence against them. They plead guilty and victim does not have to live their assault over and over again. * Streamline storage, retrieval and sharing of evidence between law enforcement, prosecutors and others in the criminal justice system. For more information on how your agency can take advantage of the AXON offer for FREE cameras and storage for one year, click CLICK HERE or on the image below!